I'm reading on this topic now, so don't have proven experience to share. 3. A visual partial buffer (low bed of flowers or short street trees that still have spaces between them) can affect how one perceives the noise. Book includes many of the strategies noted in this thread already (berms, elevating slope, intervening plant "island"). Also includes plant list for those "street" trees and shrubs that need to be in a tight space and be short and / or narrow. In the movie, people don't know why the aliens visit (among other spots) Montana. I sat in the movie theatre thinking: "I know why the aliens visited Montana. They know that Paul Wheaton and his Lab is there!" P.S. : Thanks to Paul and company for being signs of intelligent life in the universe! That all makes permie sense to me! Thank you for sharing more of your situation. From my limited experience on my small suburban lot, yes, I can relate to this: working around existing structures is a different problem than having a fresh start on a piece of landscape! I have a couple aunts who set up a shed "down near the creek" on my grandparents' farm (now sold), at certain times in their lives. As I recall, later, they set up deer blinds! Wishing you good luck in your endeavors. 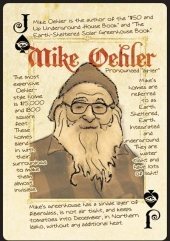 I'm hoping a few peeps homesteading closer to you will chime in here for you!!! Thanks for your post, and letting us know your plans! I am located aways away, in Cleveland, OH (suburbs). But always happy to see those NY posts, as I grew up in NY, kinda close to Canada. One thing I am curious about, for no particular reason: The main house is occupied, no? Thus the reason for your plan of hobbit hole / wofati? UPDATE on my earlier message below: OK -- got my part 2 of 2, two hours after part 1 of 2. FYI--I have not received the Part 2 of 2. Checked all spam folders: it's not in there. Did my check at about 1.5 hours after rec'd Part 1 of 2. Funny -- I hadn't noticed that, in the past. Or if I did notice it, somehow the visual cues didn't lead me down the garden path to try to login to JavaRanch. It's not really a change in approach, perhaps? I just perceived it as a change, due to the beta format and the introduction to bumper stickers, perhaps? But it sure did lead me astray for awhile and think "Hey! What's going on?! I can't log into permies!" FYI I sent a bug report to moosesalon AT javaranch DOT com, via email. Perhaps I should have posted it here, first / instead / too? When looking at a permies forum post (in new beta view, which loaded automatically for me today, which is cool), I clicked on the "I like" link above the bumper stickers on the post. That got me to the bumper stickers page on JavaRanch. That page says to go to your profile, to select your bumper stickers. The word "profile" is a link. I clicked on the "profile" link, and it took me to a familiar-looking login page. I tried to login, and kept being told my username/pw was wrong. It took me a few minutes to realize: the Login page was to JavaRanch, not Permies! Change the bumper sticker page, so that if the user comes in from permies, and clicks on "profile," they are taken to their permies profile, rather than JavaRanch site / login. It’s misleading for the bumpersticker page to lead the permies user into JavaRanch territory, and not link them back to their own permies profile. 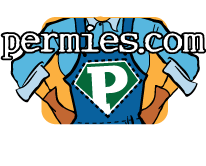 FYI – after having realized my mistake, I went back to the permies forum post I had been reading, to see if I could login to permies.com OK, and noticed that OVER THERE (permies), I was already logged in! AND....Thanks for everyone's work on the beta site and the new features!! !